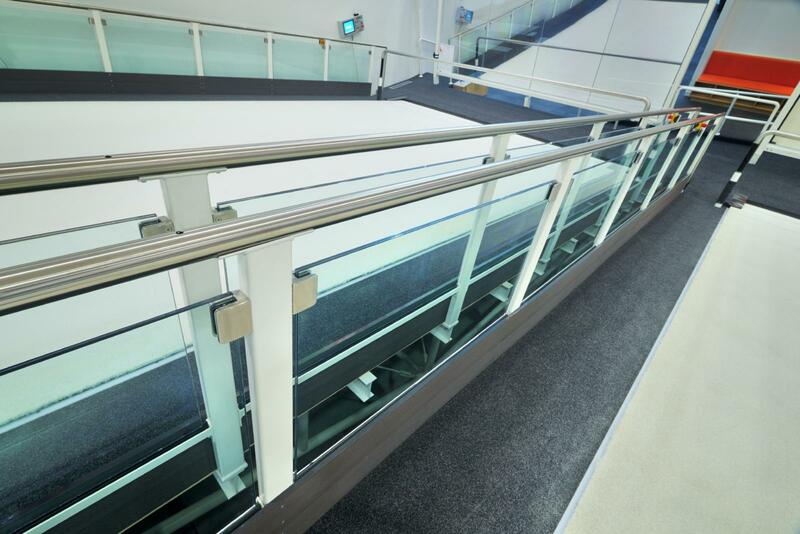 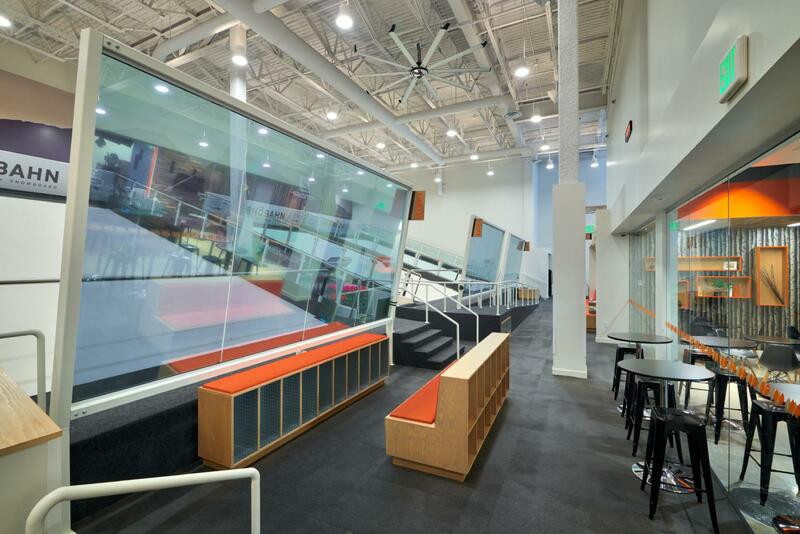 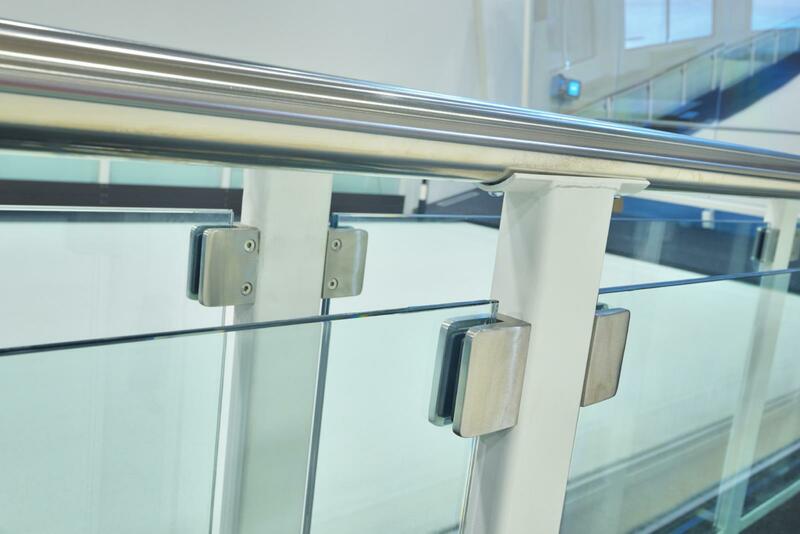 The safety glass in the ramp railings requires coordination with the railing contractors to insure proper glass-panel manufacture and installation. 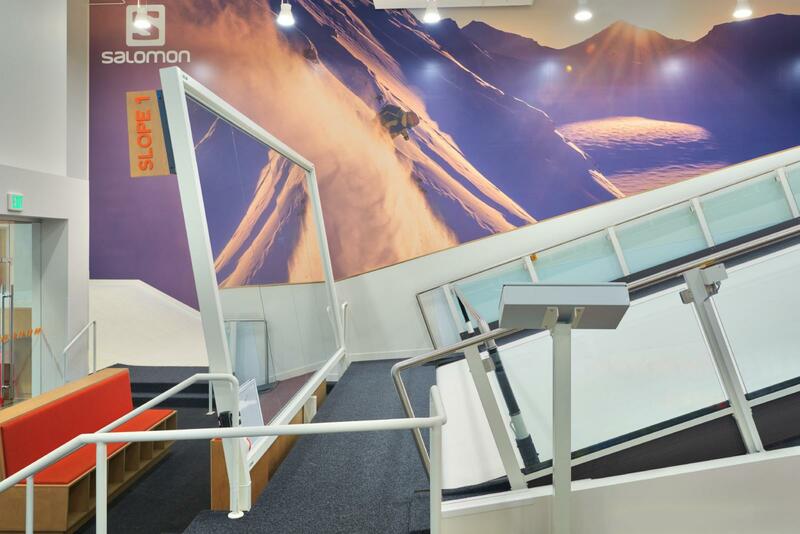 Builders’ Glass furnished and installed full-height ½” tempered glass in top and bottom channels and all-glass doors for the retail area. 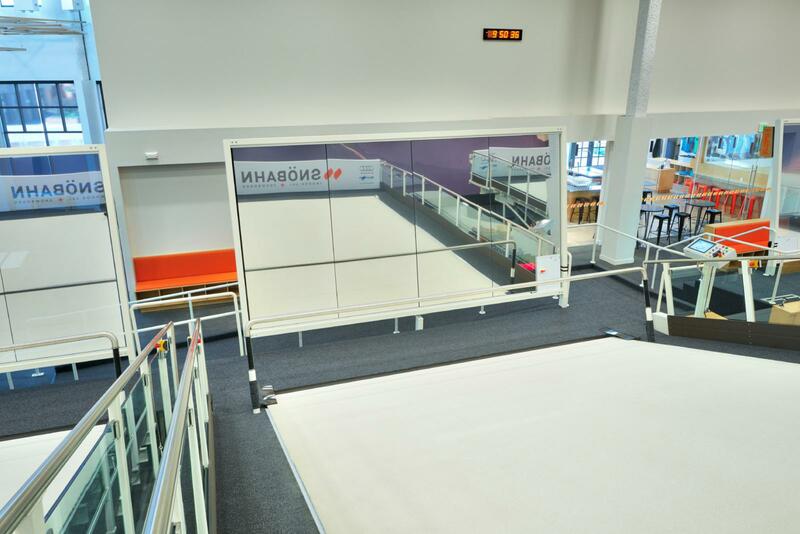 One-way mirrored glass was installed at the base of each training ramp. 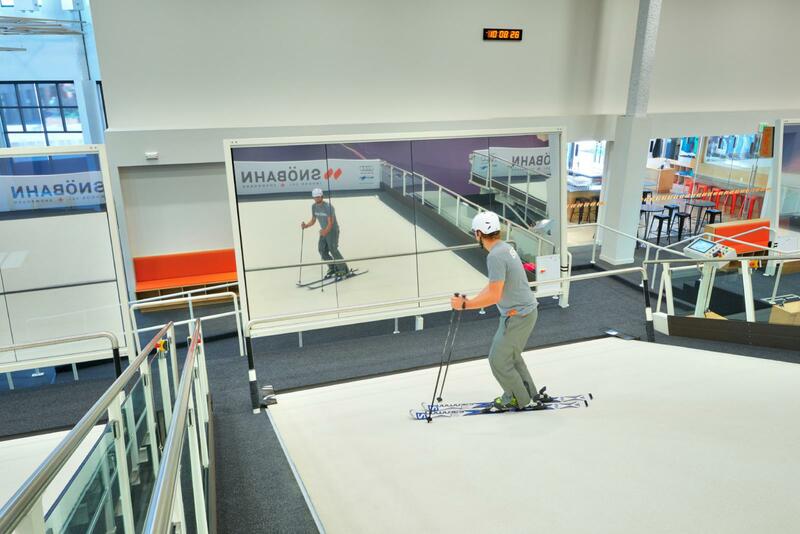 The one-way mirrors allow the trainee to see themselves as they ski down the ramp, while allowing viewing from behind the mirror.